Photo Description: This would have to be the best storm and cloud formation I've photographed, the detail and the pattern in the very dark clouds was amazing. I love the way the clouds engulfed the entire Illawarra region from the mountains and out to sea. 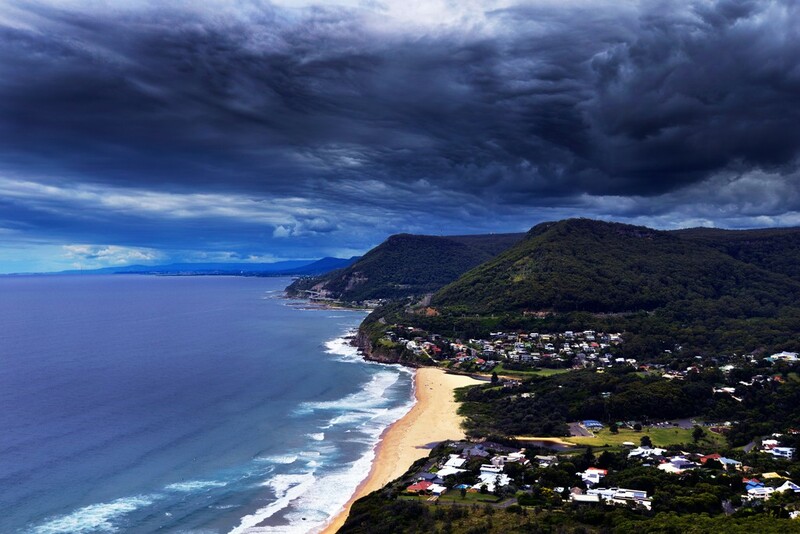 This shot was taken from Bald Hill lookout which is one of the best scenic lookouts in Australia. The beach in the foreground is Stanwell Park beach and the mountain in the far distance is Saddleback Mountain at the opposite end of the Illawarra near Kiama.